COLOURS: If you require a bespoke RAL colour you must state this in the comments field when ordering & we will contact you for details. What is the purpose of the Metal Dump Truck? 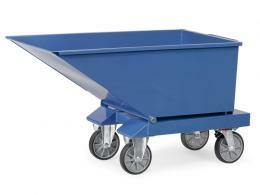 A Metal Dump Truck can be used for small clean-up jobs or moving dirt for landscaping projects. Construction of the dump truck is derived from a 2mm thick steel sheet with a double folded top rim. 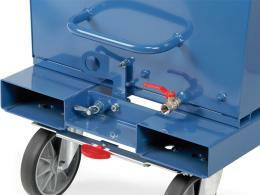 The tipping truck is welded and proven to be oil-tight. The chassis of the dump truck is 3mm thick canted steel. Having this amount of steel ensures the product is sound and can be used for heavy duty projects. Castor wheels allow the dump truck to be moved with ease. Two wheels can be set to stop with a brake and two of the wheels are fixed. There are 4 different sizes available for the product. The volume amount varies from 250 to 800 litres and all units can take a maximum weight of 800kg. The height of the dumping edge also varies for each dump truck, 780mm to 843mm. The dump truck is available in blue. Where can this Metal Skip be used? The dump truck can be used for demolition projects or landscaping tasks. 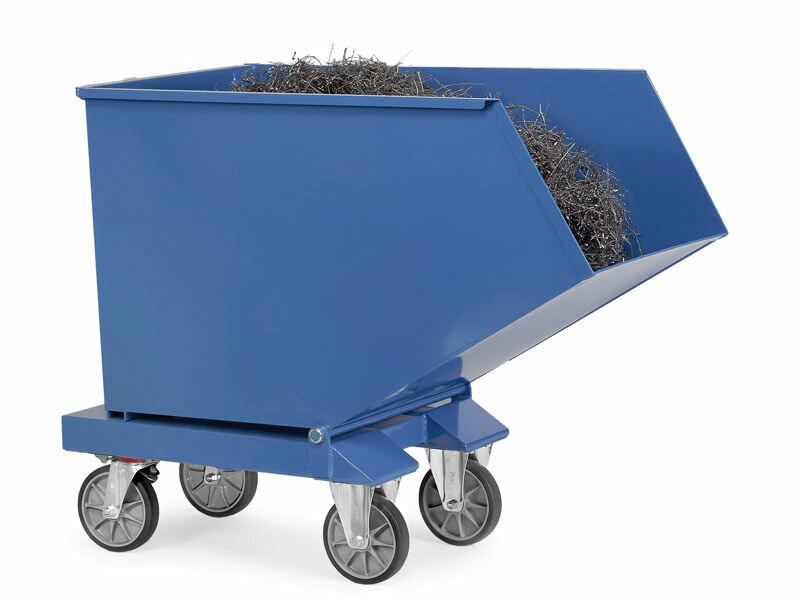 Clean up can be made easy by having a convenient metal tipping skip on a work site. Debris can be easily moved to larger containers through the dump action. This will save time and the cleaning process will not hinder other projects from being done. Landscaping businesses can utilise the product for gardens and yards. Who might use this Metal Dump Truck? 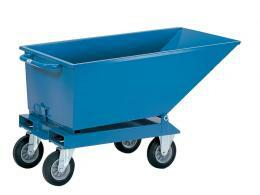 Construction workers can use the mobile skip for housing or business sites. The dump truck can be placed in a centralised location for easy removal of materials. Landscapers can haul dirt for beds and gardens without causing injury to the crew. The dump truck can be moved through many types of terrain. The best materials went into the construction of the dump truck. The product meets EuroNorm 1757-3 requirements.